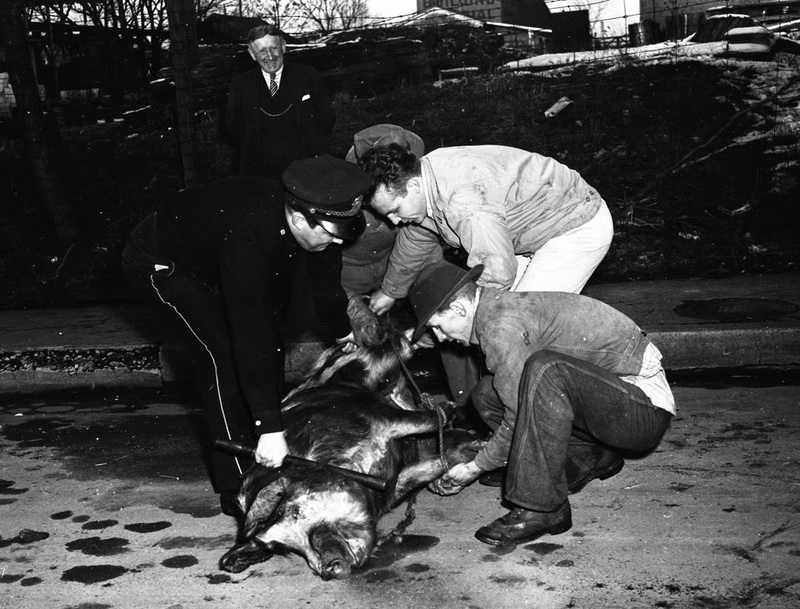 Bill Scott and Patrolman Joe Riddell capture a sow running loose on West Main Street, February 1949. The sow was unharmed during the apprehension. There is no evidence of an epidemic of pigs running loose in Lexington in 1949, but as Mr. Hartley said:"The past is a foreign country: they do things differently there."